Amanda Kelsall was known as a very dedicated, athletic, artistic, compassionate 22 year old university student, who had a zest for living. She brought out the VERY best in everyone around her. Her academic roots went back to W. R. Best and Eastview Secondary, for her public school and high school years, where she won NUMEROUS awards in both academics and athletics. She was very disciplined and worked hard for those achievements. After high school she received her BSC in chemistry at Queen’s University in Kingston, and then enrolled in the extremely gruelling medical program at the University of Ottawa, where she was in her 2nd year and was working towards her dream of becoming a medical professional. Amanda had a deep Christian faith which she embraced with her entire being. This was reflected through her genuine smiles, and her warmth and kindness to everyone around her. It was reflected through her vow of purity with her boyfriend Jonathan….the young man she loved and adored and dreamed of one day marrying. It was also reflected in giving up the comforts enjoyed in Canada during a school break, and travelling to Ghana , Africa, to minister to the needs of the people there. Amanda was a runner. Yes, she completed many “official” 5k’s, 10k’s and half marathons, but mostly she ran simply for the love of running. 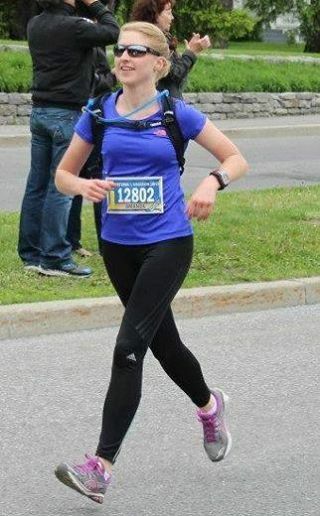 In this link http://uottawameds.com/testing/?p=963 her fellow students mentioned that “it was not uncommon for her to arrive at a 8:30 am lecture energized and rejuvenated following her 20k morning run, as the rest of us complained about having to roll out of bed in time for class”. Being the organized person Amanda was, back in the early winter she had already registered for the Ottawa Half Marathon…an event that took place on May 25th. Amanda never got to “physically” attend that race. On a blustery drive back to Ottawa after Christmas break on Jan. 5th, a tractor trailer and then a 2nd car collided with the car that Amanda and Jonathan were in on Highway 17. Amanda was killed, and Jonathan received massive injuries. Looking back to the prayer chain e-mail sent by Jonathan’s parents, Jonathan’s injuries included a fractured leg in 2 places, 2 broken vertebrae, 3 badly broken finger needing wires, a subdural hematoma at the back of his brain, internal bleeding , damage to the kidneys and lungs, and numerous lacerations and burns. Fast forward 20 weeks to the weekend of May 24th and May 25th. On the 24th, Amanda’s medical colleagues (111 in total) created an event called “Smiles for Amanda” http://uottawameds.com/testing/?p=963…a 5k run and fundraiser, with all money raised going toward the trauma unit at the Ottawa Civic Hospital (where Jonathan was initially treated for his injuries). It was a way to beautifully remember Amanda’s contagious smiles, and her deep love of running. The next day was the half marathon….the race that Amanda had registered for, and John, (Amanda’s dear father) was wearing Amanda’s bib #. Standing with John in the starting corral, was Jonathan…Amanda’s beloved boyfriend. This young man of EXTREME courage and determination had trained his heart out despite all his injuries, and in his training got to 11k’s. Undeterred, here he was in that starting corral, a race of 21.1 kilometres. Amanda’s father John managed to encourage Jonathan to not overdue it, and they would walk together the 1st portion, but after 8 k’s of walking he could not hold back Jonathan any longer. Fighting through the pain, his mind focused on Amanda, and with grit, determination and a massive dose of adrenaline, Jonathan, alongside John, these 2 men filled with emotion crossed the finish line TOGETHER at an ASTOUNDING time of 2:27:16. I have known the Kelsall family for many years. 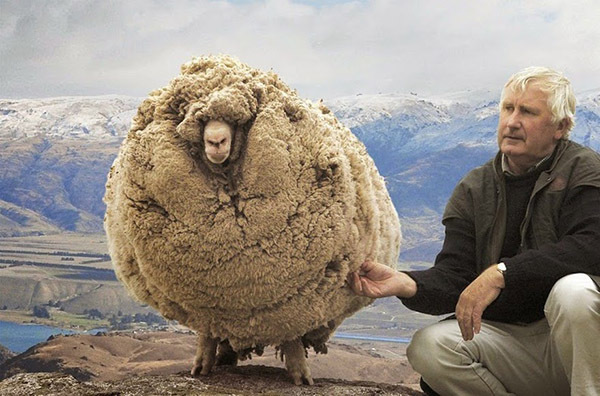 My wife Lynne and I are friends with Sharon and John. We have watched Amanda and her 2 younger siblings Debra and Jenna grow from precious little girls to beautiful compassionate adults. It has been a very tough time for this dear family, but their faith in God has never wavered. A Facebook page called “Mission Amanda” has been established, which encourages people to share their tributes and testimonies regarding Amanda. https://www.facebook.com/missionamanda.kelsall I really would like to encourage you to check it out, and open the links of the various posts. There is also a link to Amanda’s memorial service….the most powerful service I have ever witnessed in my life. This coming Saturday June 21st I will be running at the Barrie Half Marathon, and have chosen not to run for any “official” charity found on the half marathon website. Instead if you would kindly consider making a donation towards a scholarship fund at the University of Ottawa in Amanda’s memory, it would be deeply appreciated. The link is https://alumni.uottawa.ca/sslpage.aspx?pid=1353. Then under “designation” scroll to “Amanda Kelsall Scholarship. Amanda’s beauty and legacy continue through her life’s story and her family’s testimony of God’s faithfulness through all things. Thank you for sharing this Lynne. For those who knew Amanda, and know her family can really see God’s faithfulness.